Fridays seem to be about butterflies for me lately. 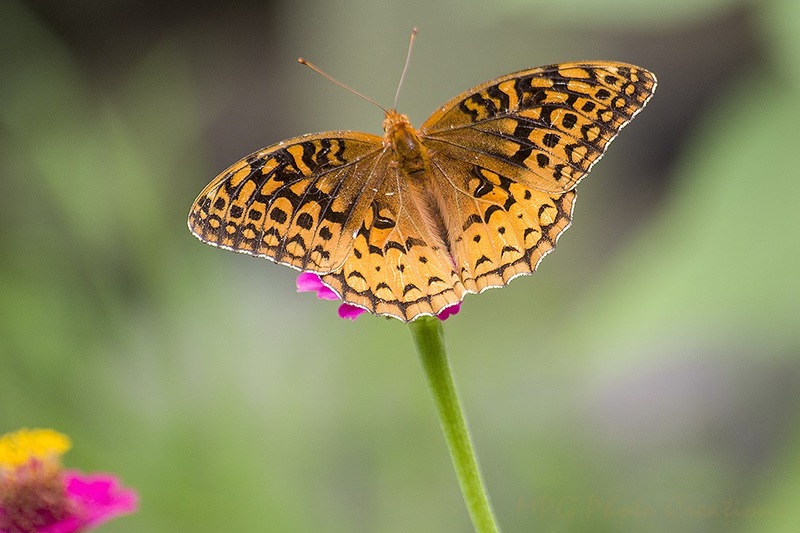 Today's image is of a Great Spangled Fritillary that came to visit the garden in Late July. These are fairly large butterflies like Monarchs and I had usually seen them on Bee Balm but this one came to visit the Zinnias. I will say again, if you want an inexpensive, easy to grow, butterfly magnet, plant Zinnias. I can almost always find a butterfly on them up until a killing frost.